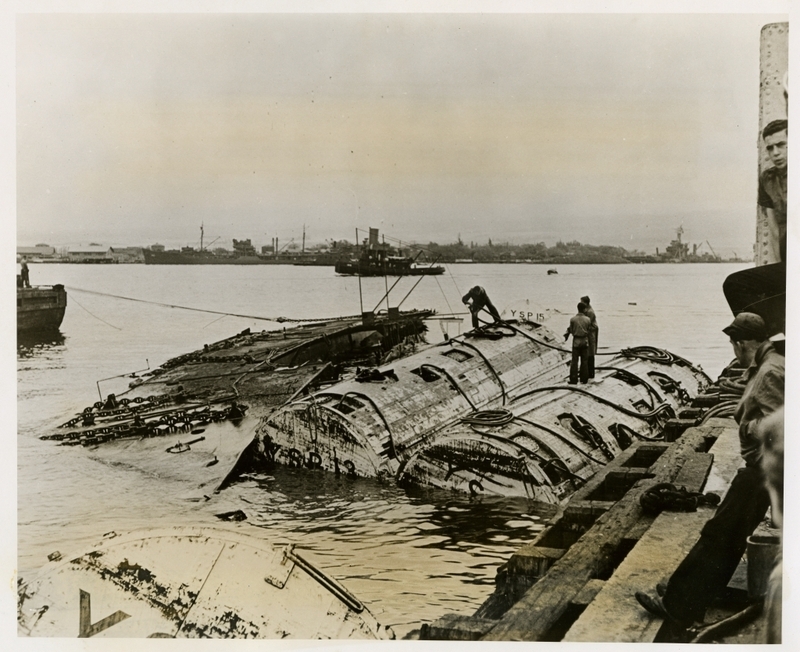 The side of the hull of the capsized mine ship USS Oglala is shown here in Pearl Harbor before she was salvaged. The Oglala capsized after being hit by a Japanese torpedo. This photograph is part of a series of photographs from the U.S. Senate investigation of the Japanese attack on Pearl Harbor, 7 Dec. 1941.